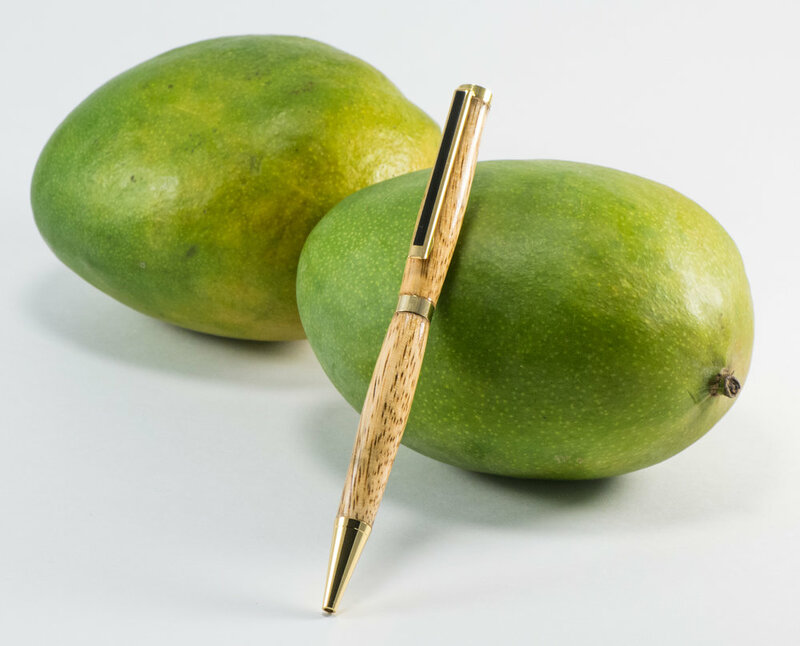 Mangos are native to Southern Asia, and the wood is considered 'eco-friendly', as the wood often comes from trees that are farmed for food. Mango wood comes in a variety of colors, and often shows 'spalting', or variations in color due to fungi. This specific pen is a pale tan color with dark brown streaks. 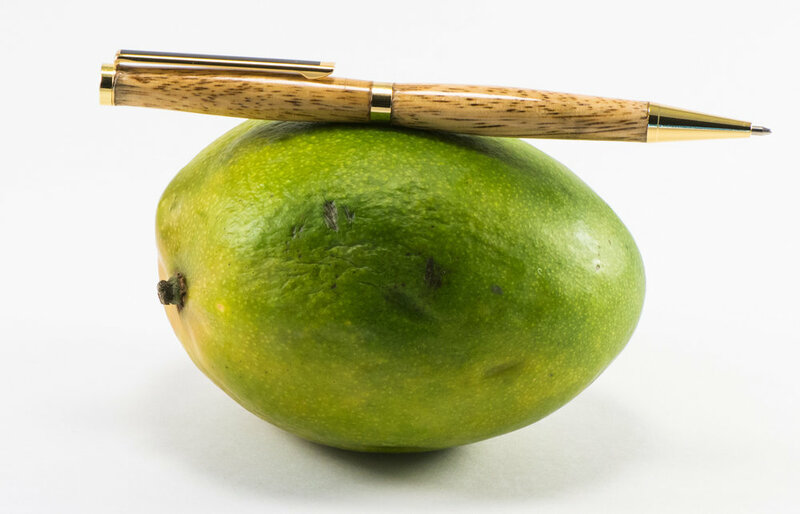 Hand-made and finished with durable, glass-smooth acrylic finish, this pen is sure to catch everyone's eye. It's a perfect gift for a chef, a foodie, or just a gift to yourself! The ink cartridge is replaceable with a 'cross'-style refill, available at most office supply shops.